Salsas are a cornerstone of Mexican cuisine and are the decisive element for a taco that brings out its character. Poured, spooned and drizzled liberally onto almost everything from potato chips to slowly roasted meats, salsas season each bite perfectly to taste. 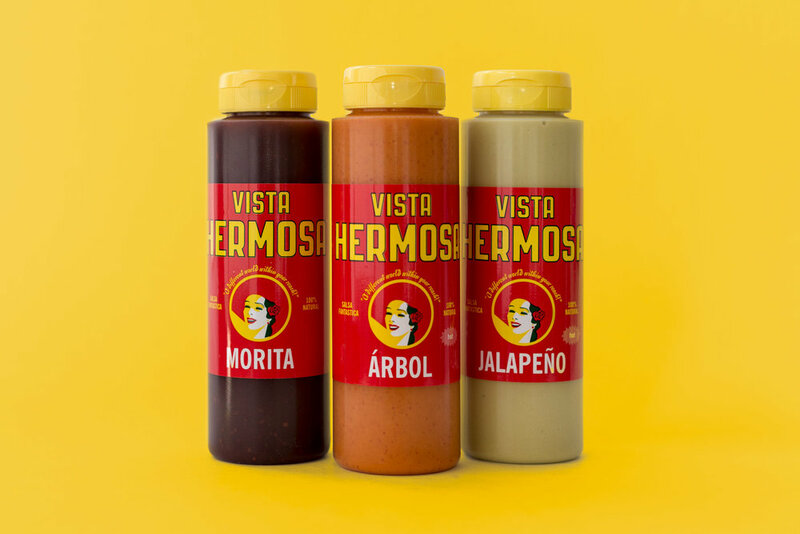 Bright & fresh or earthy & smoky, Vista Hermosa salsas have the power to transform and elevate the flavor of a dish. We make our Vista Hermosa salsas from the huge and varied selection of chiles, fresh vegetables, herbs, and spices found throughout Mexico. All our salSa recipes are vegan & gluten-free. No preservatives. No additives. Bright and clean this salsa enhances the flavor of almost anything. Try it on egg dishes or potato chips for a traditional Mexican street snack! Popular in Puebla and Veracruz, this salsa has a dark smokiness balanced with a touch of sweet. A creamy, mild salsa full of mild jalapeño flavor.